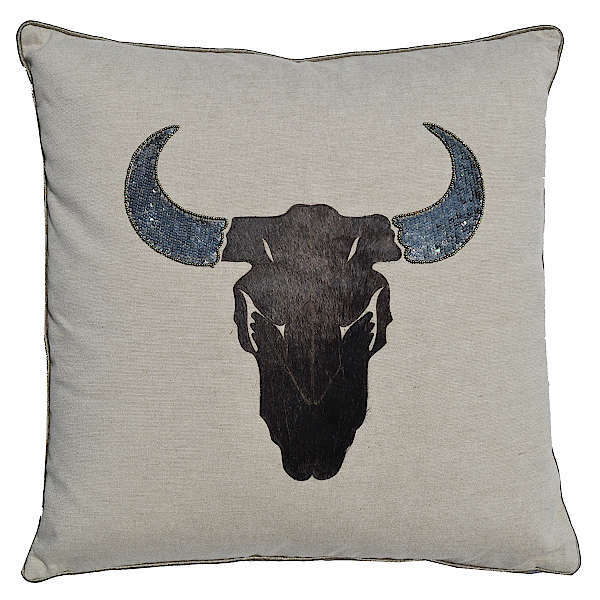 Cloud9 Design Moe Decorative Pillows - Swatches may be available. Animal antler head decorated pillow. All pillows come with zipper closure and a feather-down insert. Linen back. Dry Clean Only. 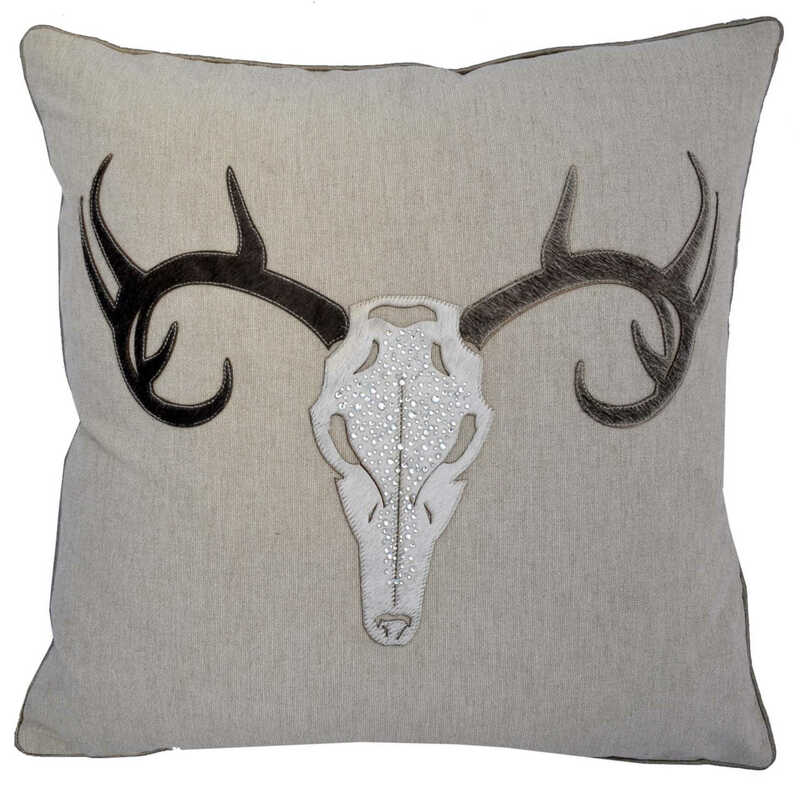 Wheat linen pillow with hide animal head shaped cut with sequins.